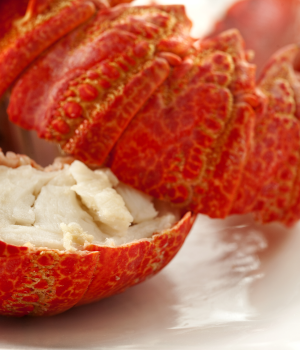 The Total Allowable Catch (TAC) of West Coast Rock Lobster has been reduced by nearly half for the 2018/19 fishing season, the Department of Agriculture, Forestry and Fisheries announced on Friday. A TAC of 1 084 tons has been determined for the season, a 43.6% reduction when compared to the TAC of 1 924.08 tons for the 2017/18 season. The department has allowed 575.43 tons for offshore commercial fishing, 163.05 tons for nearshore commercial fishing, 38.76 tons for recreational fishing and 163.05 tons for the small-scale fishing sector (nearshore allocation plus interim relief measure). It is allowing 143.71 tons for the small-scale fishing sector's offshore allocation, and nothing for foreign fishing. "The Department will, similarly to the past fishing seasons, apply effort limitation to restrict the daily bag/catch limits and number of fishing days," DAFF said. Fishing is authorised for the commercial and small-scale fishing sectors for four months in each super-area or zone, while recreational fishing is authorised for 12 days. The allocation comes on the back of a ruling by the Western Cape High Court that found the 2017/18 allocation was unconstitutional. The ruling followed an application by WWF-SA which the organisation described as a "last resort after many attempts over several years to engage with the Department of Agriculture, Forestry and Fisheries" over the TAC which, in WWF's view, was unsustainably high. "The sad reality is that the West Coast rock lobster resource has declined dramatically over the last 50 years as a result of overfishing to the point where it is approximately only 1.9% of its original, pre-fished stock size. At such low levels, the risk of West Coast rock lobster becoming commercially extinct is extremely high with dire socio-economic and ecological knock-on effects," the WWF previously said. The DAFF also previously announced its intention to appeal the ruling.